Eric Diamond Spring Fever Concert! Eric Diamond as Neil Diamond and Brian Harris as Elton John! Spring Fever Concert! Friday April 27th in the Root River Center Banquet Hall. Full Bar & Menu available including our fantastic Friday fish fry, before, during & after the show! Delicious food, refreshing drinks & Great Music! Tickets on Sale now !! 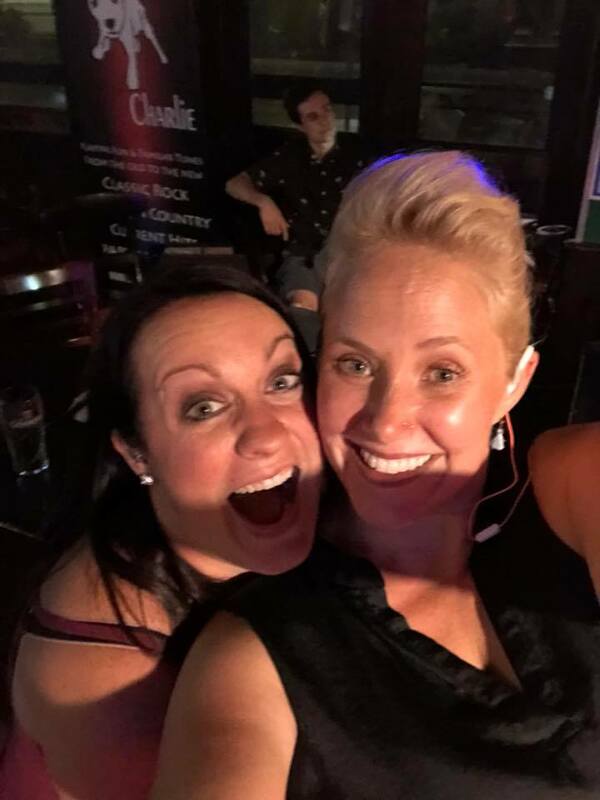 LIVE MUSIC – LIQUID CRUSH – NO COVER! 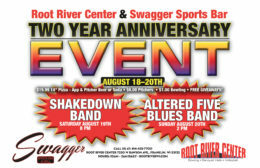 Join Liquid Crush at Swagger Sports Bar & Grill inside the Root River Center in Franklin, WI! Get there early and enjoy some food and then stay for some drinks, music and dancing! 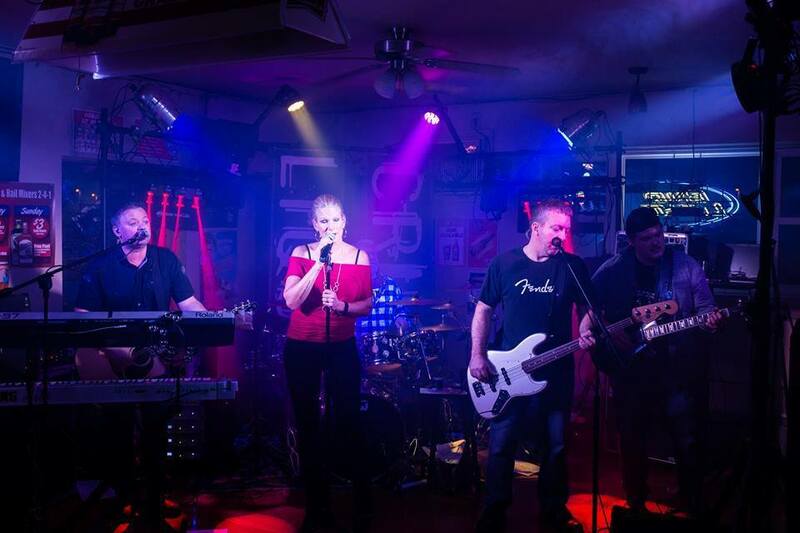 Playing quality live mainstream cover music, LIQUID CRUSH has been entertaining audiences since the spring of 1999. Experience, professionalism, showmanship, energy and dynamic vocals sets LIQUID CRUSH apart. While evolving throughout the years to the current group, each member along the way has brought along their own experiences, ideas, and influences, which when combined with seasoned instrumentation and vocals, enables LIQUID CRUSH to play a vast amount of songs from the popular standards to those not being performed by many cover bands today. 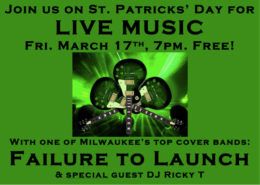 LIVE MUSIC – FAILURE TO LAUNCH – NO COVER – ST PATTY’S 2017! Everyone knows that St. Patty’s is one of the funnest party nights of the year, so we are super excited to announce that Failure to Launch will be rockin’ the house at Swagger Sports Bar inside Root River Center on Friday, March 17th! Dress in your best green ensemble and get ready for some good “craic” with our new party hits and the always funky beats of our favorite DJ Ricky T. Hope to see all you lads and lassies there! This is Failure to Launch’s second time at Swagger Sports Bar, not sure we can top their first visit, but lets GIVE IT A GO! LIVE MUSIC – FAILURE TO LAUNCH – NO COVER! Everyone knows that Thanksgiving Eve is one of the funnest party nights of the year, so we are super excited to announce that Failure to Launch will be rockin’ the house at Swagger Sports Bar inside Root River Center on Wednesday, November 23rd! Swagger’s Kickin Into Summer Rock-N-Roll Beach Bash with Sugar Camp as the evening’s musical entertainment! Stop out for the best of: Classic Rock, Alternative & Country music. Live and Outside next to the bonfire! The evening will be in the great outdoor Root River Center Pavilion area with our NEW Tiki Bar! LIVE MUSIC – ALYSSIA DOMINGUEZ – NO COVER! Growing up in a family deeply rooted in traditional Tejano music, Alyssia Dominguez was always destined to be a musician. Her grandmother’s early Tex-Mex influence quickly gave way to a deep love for country music, which led to her singing and playing guitar on stage at the age of fifteen. Those stages have grown since then to include The Wisconsin State Fair, Summerfest, and Chick Singer Night, among many other local venues. Alyssia’s influences have been constantly evolving as well with Miranda Lambert, Kacey Musgraves, Dustin Lynch, and Jon Pardi at the top of her list. Currently, Alyssia performs out as a solo artist and a as a duo with male lead singer of Rebel Grace, Jeremy Zima. She has recently released her first EP titled, The Reason, featuring original music co-written with Keith Pulvermacher. It includes four different songs that showcase a variety of Alyssia’s musical styles. Listen and/or purchase an autographed CD here. 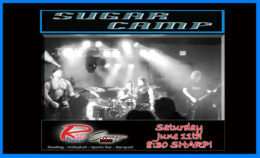 Live Music – Sugar Camp Special Guest – Kun-Fuzed – NO COVER! Sugar Camp takes the stage again at Swagger inside Root River Center on Saturday, February 27th with Kun-Fuzed. We had such a blast last time, that the venue has asked us to return. Everyone there had a good time. Come check out this new place if you haven’t yet. There’s no cover, and the show starts at 9pm. Hope to see you all there! Come down to Swagger to hear Sugar Camp! A Milwaukee area cover band playing the best of classic rock, alternative, and country music!